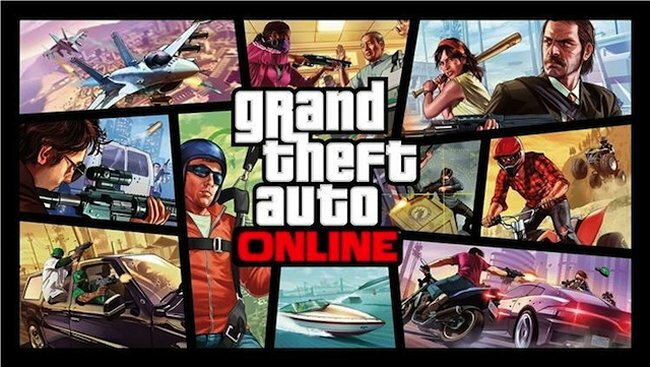 After launching a new trailer Rockstar games has today announced that their new Grand Theft Auto Online MMo game will be launching on October 1st. No online pass or code is required for activating GTAO, simply purchase a copy of Grand Theft Auto 5 and it will be available as a selection in the character wheel. There’s a stock market, which won’t be available at launch but will be insane whenever Rockstar does put it in. You can invest in a car manufacturer and then storm around the city destroying every one of their cars so they have to pump out more (and their stock increases accordingly). Wow. There’s also a fascinating new take on spectator mode, GameSpot reports: you could be in your apartment and see a police car down below your window somewhere, turn on the TV, and watch one of your friends run-n-gun with cops in real time. When the multiplayer mode launches, it’ll be accessible through your character select wheel: in addition to the main three characters, Michael, Trevor, and Franklin, you’ll have a fourth option for multiplayer.